Chartered in 1791, officially The University of Vermont and State Agricultural College, the University is a premier public ivy university with world-class faculty, the top university in Vermont and among the elite top 50 public research universities in the nation. UVM - Universitas Viridis Montis, Latin for "University of the Green Mountains" – is the 5th oldest university in New England (after Harvard, Yale, Dartmouth and Brown). The historic campus is located in Burlington, Vermont (ranked as one of the most desirable places to live and study in the US) along the shorelines of stunning Lake Champlain and nestled between the Green Mountains and Adirondack. Burlington is within close proximity to a range of attractions from outdoor activities such as resort skiing and camping to urban hotspots with a vibrant social scene such as theatres and events. The university has approximately 10,000 students. 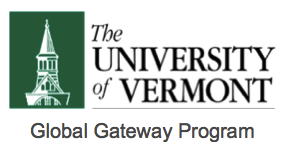 UVM is consistently ranked in the top 100 higher education institution in the United States. U.S. News & World Report 2017 places the University 38th among public universities and 92nd among national universities. A Public Ivy with world-class faculty. Ranked #92 in US News & World Report 2017 for National Universities, and is ranked tied for 38 among public universities. Department of Theatre named a Top-10 program in USA. The University’s general key subjects are Civil Engineering (35th), Electrical Engineering (35th), Mechanical Engineering (35th) and Agriculture and Forestry (42nd) as according to the U.S News & World Report and QS World University subject rankings.